The Air Jordan Future has been getting a lot of positive reviews, and the latest colorway to hit the market is also expected to become one of the hottest items on the sneaker market. Now available for retail is the Air Jordan Future “Royal” that is officially listed as the Varsity Royal/Varsity Royal-White colorway of one of Jordan Brand’s new models this year. This edition features a blue-based woven upper along with a white midsole and royal blue translucent outsole. 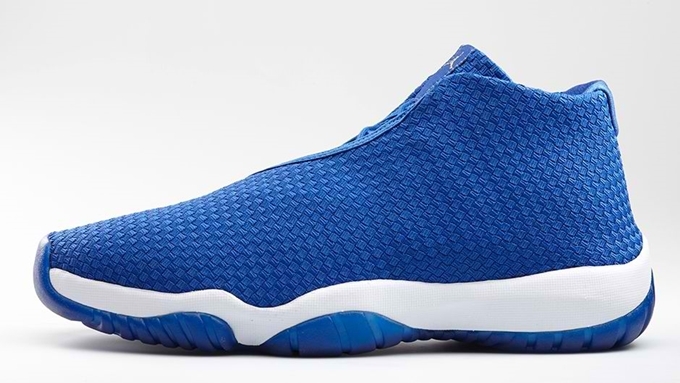 The Air Jordan Future “Royal” is now available for $150 per pair. Get your own pair now!